Live and loud, Electromatic Center Block Jr. guitars are designed for that pure and powerful Gretsch sound at high volume. Painstakingly crafted with essential Gretsch sound, style and playability, these all-new models deliver the fearless and electrifying authenticity that has set Gretsch apart for decades. The G5655TG Electromatic Center Block Jr. Single-Cut with Bigsby and Gold Hardware features a smaller-sized body with a chambered spruce center block for dynamic resonance, high gain power and lightweight comfort. Offering excellent playability, the 12-inch-radius laurel fingerboard hosts 22 medium jumbo frets and NeoClassic thumbnail inlays. Its dual Black Top Broad'Tron humbucking pickups deliver bold, dynamic and articulate tone with enhanced sonic punch. 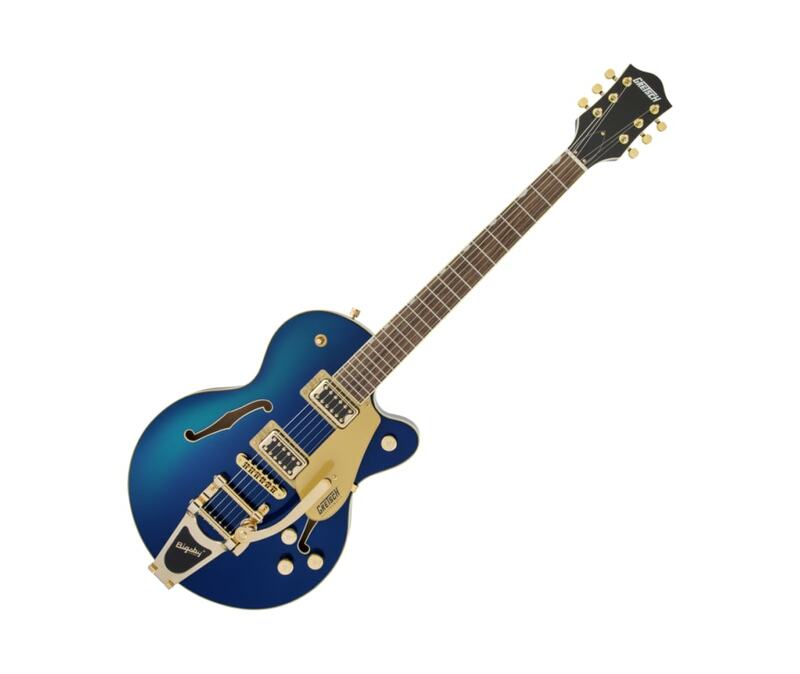 This guitar also boasts stage-stealing style with gleaming gold hardware, including the Bigsby B70 vibrato tailpiece, anchored Adjusto-Matic bridge and G-arrow knobs.